The All New, All Daring Delusional Honesty! : Something Hammer This Way Comes! I'm a HUGE Hammer horror fan, and especially love the Dracula series. Christopher Lee will always be the definitive Dracula in my eyes... Bela Lugosi being a close-second (due to only playing the infamous Count twice on screen). 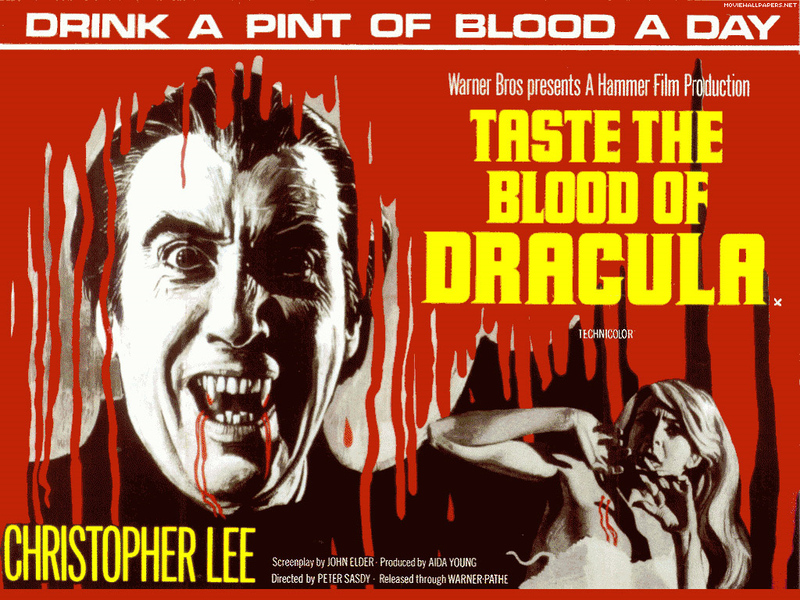 Lee's screen presence in those films is only rivaled by the great Peter Cushing... both of whom I class as two of my favourite actors (along with the great Vincent Price). Another all-time favourite is the classic Curse of the Werewolf starring Oliver Reed. As much as I love Universal's Wolf Man, Reed's werewolf is one of the best on-screen Werewolves I've ever seen on film (and I really believe that the Wolfman remake took some inspiration from it as well).